Whether you have found a bug, need some training, have some feedback, or have a feature request, we do our best to provide the support you need when you need it. We have multiple channels to reach out to us in the most convenient way for you. At any time, you can click the feedback/contact button in the top right corner of D3M. 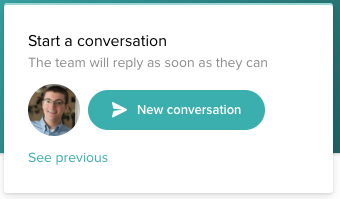 You can always start a conversation with us via chat. Support is available on weekdays from 9-5pm EST, but you can leave a message at any time and we will get back to you as soon as we can. If we are not available or you are more interested in finding the answer yourself, you can always search our knowledge base for answers. You can also visit and browse the knowledge base if you don't know exactly how to search for what you need. You can view some previously recorded webinars to learn about how to use D3M in more depth by visiting our training webinars page. You can book a live training session will us for you and your team. The session will be tailored to your needs and show you how to use D3M in a way that will be most productive for your team.